 Drewry Construction has been trained and certified for Aging in Place design and build. Aging in Place is a type of design that modifies your existing home to fit your needs as you become older. More specifically, Aging in Place consists of creating an environment that is "barrier free", i.e., rooms, entrances and locations that minimize or eliminate barriers like stairs or steps, abrupt elevations or slopes, thresholds greater than ½", and constricted, cluttered, or inadequate passages. It is an "adaptable design" of living space that will increase the use, safety, security, and independence for homeowners as they age.